Sold by Woteritrade and ships from Amazon Fulfillment. The NT4 stereo microphone offers a perfect X/Y stereo array without the need for matched pair microphones, complex stereo bars and equipment. 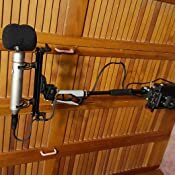 Simply place the microphone and capture a realistic stereo field using a single microphone. Combining an acoustically matched pair of 1/2” cardioid condenser capsules fixed in a perfect 90° near-coincident alignment, the NT4 instantly creates a stereo array ideal for drum overheads, percussion, choir vocals, environmental recording and sound design. 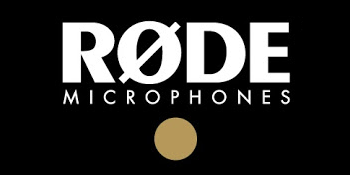 RØDE Microphones are a uniquely Australian owned and operated audio company. Our home is in beautiful Sydney, just 20km west of Sydney's downtown area and right near the home of the Sydney 2000 Olympics. 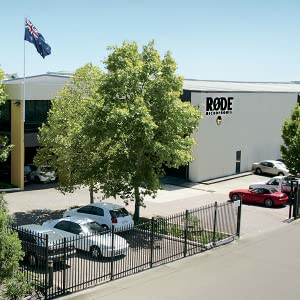 Comprising three warehouses with a total footprint of over 110,000 square feet, the RØDE state-of-the-art plant has precision machinery and an international team of more than 250 people across highly skilled disciplines: electronics engineering, industrial design, technical engineering, robotics, audio and acoustics engineering, metal production, toolmaking, injection-mould technology, logistics, assembly, quality control, finance, marketing and sales. The NT4 has a 128 dB dynamic range, 143 dBA SPL and low self-noise. 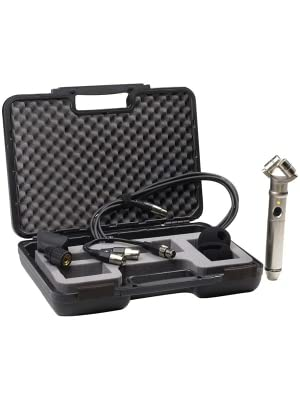 And, it comes supplied in a custom carry case with a windshield, XLR to mini-jack and dual XLR cables for portable DAT or professional balanced input connection. 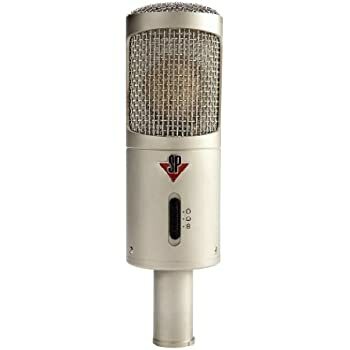 Stereo in one mic, incredible SNR, amazing sensitivity. 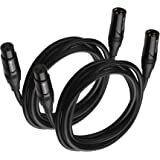 Comes with 5-pin XLR of course, so if you use it with the blimp for stereo field recordings, you will have to remove the 3-pin wire from the mount and use the cable that the mic ships with. 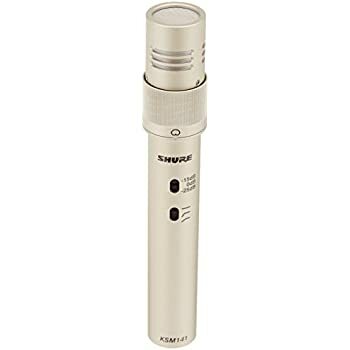 Has availability for a standard alkaline 9v battery inside the body of the mic (so it IS a fat mic). 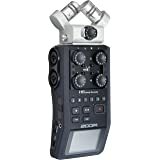 This really helps extend recording time of field recorders because the mic will run on the 9v and you can turn the phantom supply off in the recorder to save its battery life. The 9v lasts forever (manual says 400,000 hours I believe) and has no ill effects on SNR, I have found. 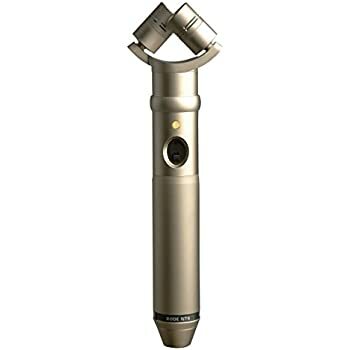 If you are doing field recording such as nature sound recordings, this is the mic to have. 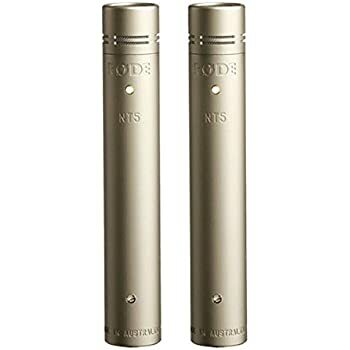 To give you an idea on size, the capsules are standard small-diaphragm capsules, the same ones used in the NT5 and NT6, so it is slightly larger than a handheld vocal mic. This is a great mic. 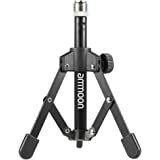 The design makes it really easy to set up for recording, and its quality gives fantastic sound. 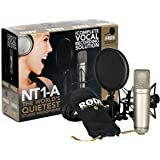 I have primarily used it for recording acoustic instruments (grand piano, 12 string guitar etc) and because I am not a sound engineer with years of experience, I find that I get great sound just by having the parameters of distance and angle to fool with. Frankly the extra parameter of distance between two mono-mics is just annoying for me. I want to play music and record it, not fool with mics all day. I can't wait to try it on live recordings of choirs etc. 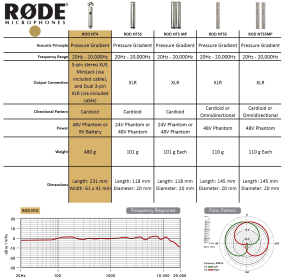 Drop by the Røde website and have a listen to what engineers say about this mic. 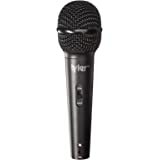 5.0 out of 5 starsGreat unexpensive accurate Mic! I bought this microphone about 6 months ago. I've been recording mainly acoustic pianos and orchestras with it. 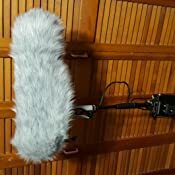 It's not a Schoeps microphone, but it's far from being a cheap microphone. Great dynamic range, very good frequency response (although sometimes I feel like it's lacking a little bit of bass response, but maybe it's just me, or the placement), and most of all: incredible place-and-record ability. 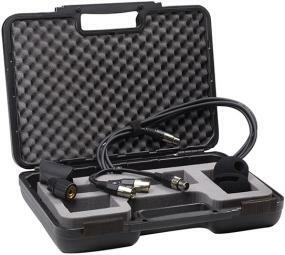 Highly recommended for engineers or musicians who don't have much time to play around with two microphones. 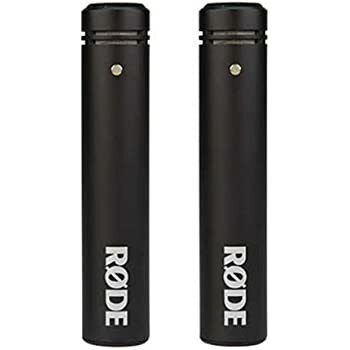 As I wrote before, it's not a Schoeps, but to be honest, if somebody asked me for a very good stereo mic under $500 for live-sound or for a quick recording, this would definitely be my choice. 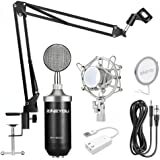 I'm from Brazil and o bought this mic for ambiences,foley and rehearsal recordings with my theater group. with the NT4 and the internal mics of my marantz PMD661. The difference is huge. The Nt4 gives us a very nice sound stage. Since i was in a neighbourhood with lots of residential buildings we can here a lot of sounds coming from everywhere and NT4 delivers it. We listen not just sounds coming from left and right but also the depth. Realy amazing. In the theater we get also great sounds. I left it perpendicular to the stage and we hear very good relation with instruments, singing and acting. Very nice. 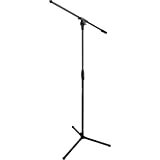 In my limited experience, I found it to be a good mic for various recording applications but not suitable for grand piano. 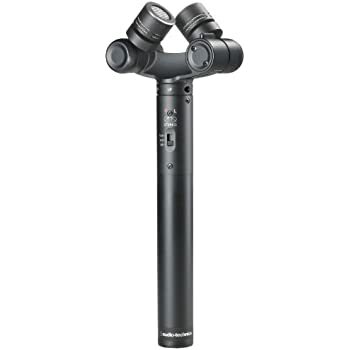 Maybe a tad better in sound than Audio Technica 2022 but rather expensive for what it does, in my judgment, and on top of it when used with a 9v battery it produces a constant buzzing mid-range sound on recording making it unusable. I could not test it with the phantom power capable recorders (apparently then the buzz is not present). Definitely expected more than what it produces. Really clear, great extras, well worth the cost! I started recording my sons playing music a number of years ago. Always searching for a better way to get the best sound. I went from the mic in the camera, to a separate mic, to getting the sound from the sound board. I was never happy with what I got. When you get it from the sound board you are at the mercy of the equipment they use, and their adjustments to eliminate feedback, etc. 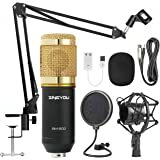 I finally decided to take a chance and get a top quality premium microphone. I also wanted some stereo separation as everyone that plays this back is playing it on a stereo system. The video you see here is our first try at using it. 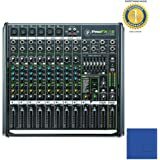 We fed the bass and the two mic outputs into a Zoom r16. 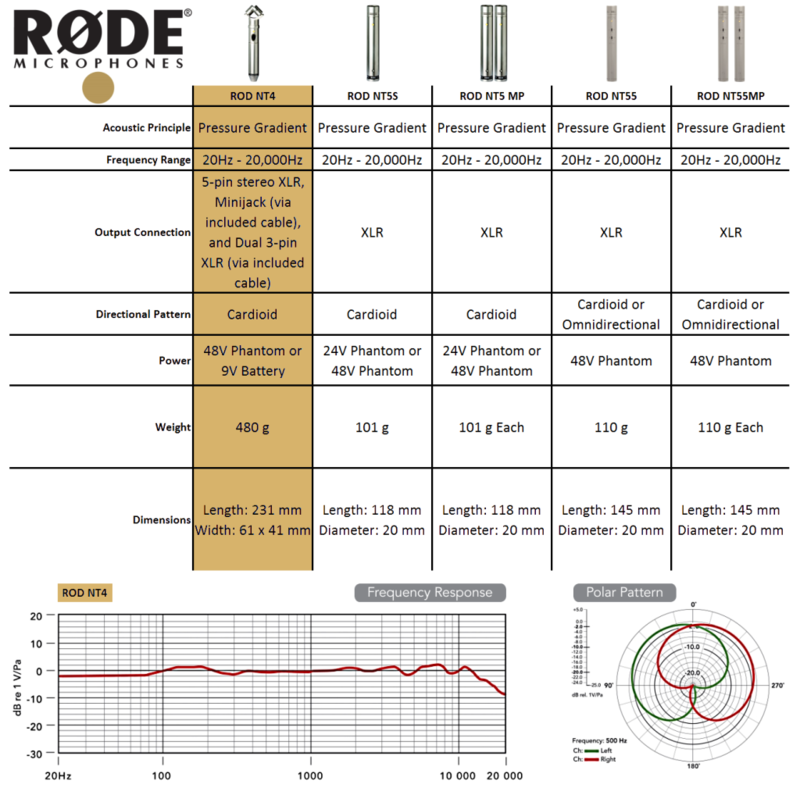 So be advised that the bass you hear is not from the Rode. It was a separate feed into the R16. The Rode actually did not pick up the bass very well, and we had not planned on that, either. All three tracks were taken from the Zoom and then mixed with a slight amount of tweaking. All in all I was very pleased. This is the best sound I have ever gotten since I started recording. Now I will say this, as I write this review the file is uploading, so I have not heard it after Amazon does what ever they do to it. It sounded great when I uploaded it. If it sounds bad just go to you tube they are probably higher quality. My two sons are Matthew (fiddle) and Christopher Arndt (banjo), they are playing here with The Early Edition. There are a few more of the videos up on You tube. 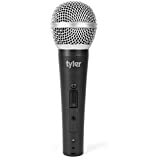 We started using this mic in March of 2012. We also will experiment with placement. If you can see it here, it is behind the condenser mic used by the sound crew. I wanted it higher but was over ruled for aesthetic reasons. 4.0 out of 5 starsGreat stereo video camera mic! I am using the Rode NT4 to shoot videos with a Canon 5D Mark 3 DSLR camera. Combined with the Beachtek DXA-SLR PRO Preamp and running that into the Mark 3's inputs set low creates awesome & accurate sounds far better than any other XY's can provide. Very little video audio editing on Pro Tools is needed. Awesome microphone.